Today I want to share with you guys, something that I feel is vital to all slow cooker/crockpot cooking. In the past when you had to cook something in the crockpot you were happy because you knew you could cook your meal while you were out of the house; having a completed/most completed meal ready when you got home. Then when all of the easiness is over you would have to clean that helpful tool. I don’t know about you, but this was always a dark cloud that came shortly after my sunshine and rainbows. 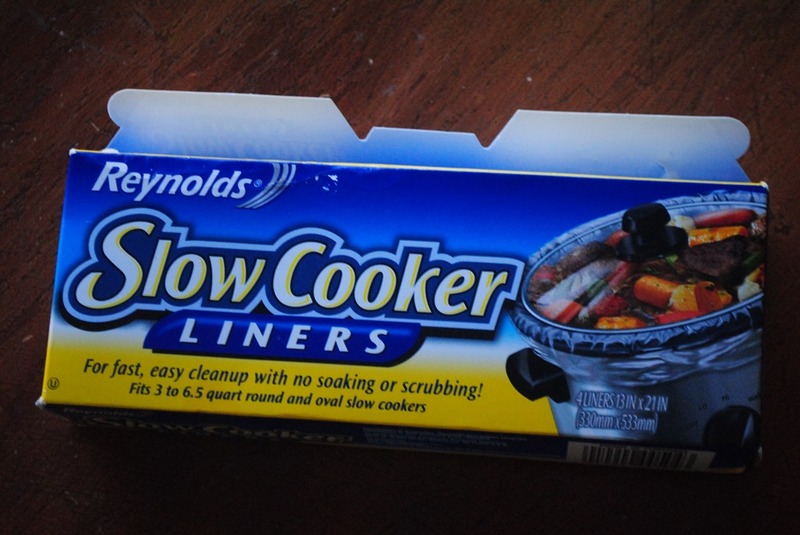 Several months ago, I had a couple of coupons for the Slow Cooker Liners and bought them because they were on sale; then tossed them into my pantry bin for my food wrapping supplies. I forgot about them until about around December when I saw them at the bottom of my bin. I promised myself that the next time I used my crockpot I was going to whip them out. My parents got me a new crockpot for Christmas that has the removable pot (my old one did not come apart and boy that was an even worse nightmare to clean). I used my liner for the first time when I made pork for carnitas for Superbowl Sunday. The clean up was easy-peasy. 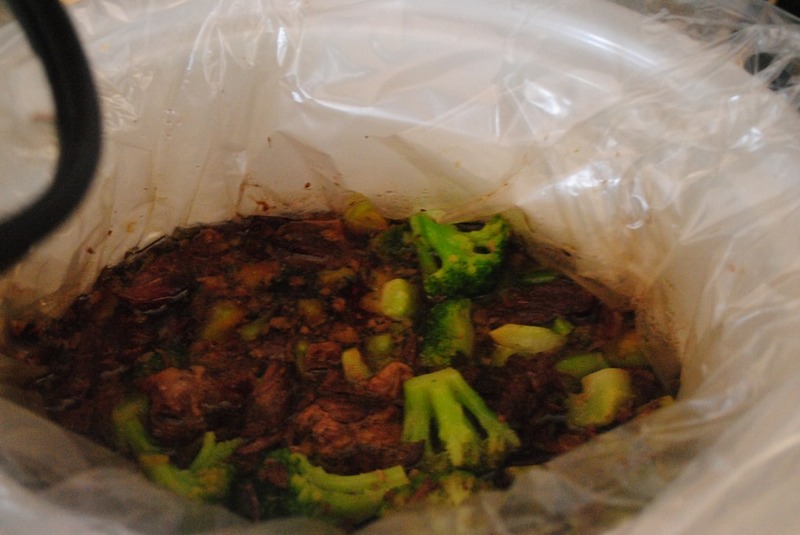 Today, I made my Asian Beef and Broccoli (it was on the menu for yesterday, but I forgot to take my beef out of the freezer early enough and it was still frozen when I woke up that morning so, it got bumped to today). 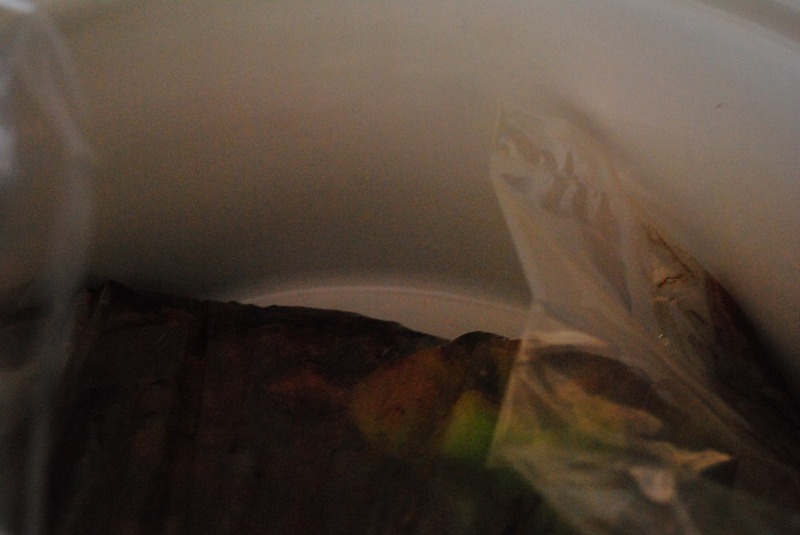 Take a look at the space between my liner and my crockpot…. I found another coupon for the liners and I’m going to buy another box or two or three (I don’t have that many coupons, but what can I say, I love these things ). If you have not already tried them and you use a crockpot…what are you waiting for? Go to the store and buy yourself some of these awesome liners. Note: the opinions of this post are not from a paid endorsement, I’m just sharing my opinion about something I have come to love. I think you’ll be very happy with them. They’re usually located in the same aisle where the foil and plastic wrap is.